There are the usual cryptid mysteries that we all wish to resolve, but the implications of some of these are so disturbing that we might rather not know the real answer. In an unknown year—but likely some time in the early 1900s—land surveyors dropped rope down a cave in Boone County, Arkansas. After the rope had descended two hundred feet into the cave pipes, a horrendous hissing and roaring sound was heard, suggesting that a bizarre and enormous beast had been disturbed. Some believe that the roaring belonged to a cave-dwelling cryptid, or an apparently-extinct or so-far-undiscovered species. The exact site of the eerie report has not been found, but the explorers of a second Arkansas cave heard a case of a landowner who had apparently gone insane with terror after entering a similar subterranean system and encountering something. Precognition—including the vague sense of impending doom—is an unexplained phenomenon whereby events are seen before their time. Eerily, Abraham Lincoln reported a dream in which he had seen his own dead body. Only days later, he was fatally shot. 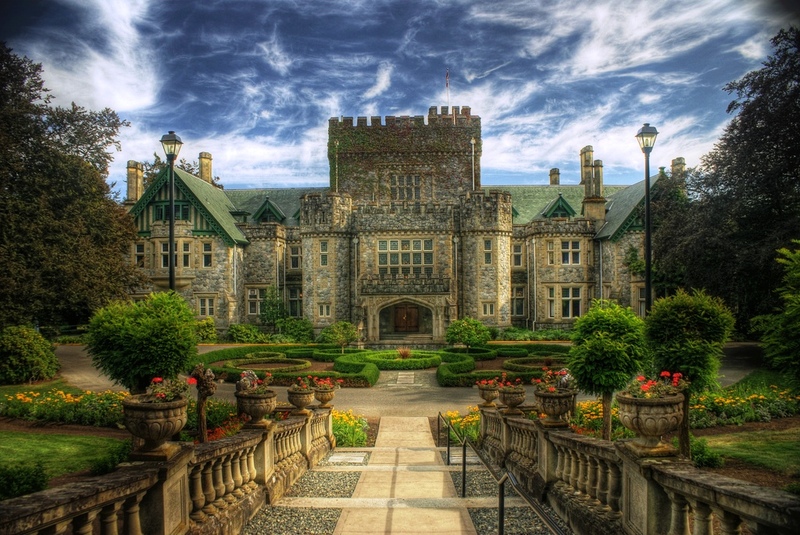 Hatley Castle was built on Vancouver Island, off Canada’s West Coast, by the Scottish Coal Baron Robert Dunsmuir. He was a famous but controversial figure in his day, known for his swift-handed approach to decisions concerning the use of land. The castle, which now forms part of the campus of Royal Roads University, has begun to fall prey to a series of unexplained events, which send chills down the spine of those who venture too close. Terrified observers have reported seeing a white figure drifting around the windows, and they’ve also made reference to hearing the clash of pots and pans. It is rumored that the maid of Robert Dunsmuir—rejected by her lover—leapt from the window and died. SPIRITS, a charity dedicated to investigating the paranormal, claims that one of its staff members actually saw a female figure clothed in white slipping through the castle corridors. Unfortunately, few sources have less credibility in such cases than a charity dedicated to investigating the paranormal. European culture is extremely diverse; distinct customs and peoples live there side-by-side in relatively small but clearly-defined regions. One would imagine that the development of Europe consisted of historically understandable transitions—but according to research at the Australian Center for Ancient DNA, genetic markers in skeletons sampled for DNA suggest a sudden, drastic change around 4,500 years ago. According to paleo-anthropologist Dr. Alan Cooper, “Something major happened, and the hunt is now on to find out what that was.” The mysterious event or cataclysm may never be determined, but it’s possible that an unknown plague, or else a mysterious conflict or agreement between ancient tribes, may hold the key to Europe’s anomalous past. “Alien Abductions” have become fairly widely reported, to the point that most researchers have grown somewhat tired of the subject. However, some accounts are much more difficult to disregard than others. In 1993, Kelly Cahill and her husband were driving at night in Victoria, Australia, when a bizarre form appeared in front of them, apparently in the process of abducting something. The occupants of a second car behind the Cahills also observed the phenomenon. When the Cahills tracked this second group down, they were able to confirm the fact that they too had witnessed the event. Spooky. While the previous entry dealt with an event that some might attribute to aliens, other Australian dangers may originate from a primitive source. Since the arrival of early settlers, Aboriginal Australians—many of whom possess an almost instinctive knowledge of the outback—have warned of the existence of giant, primitive ape-like creatures known as Yowies. Their descriptions are eerily similar to the “Sasquatch” accounts of North American native tribes, and also the notorious Yeti of the Himalayan foothills. The creatures are said to be foul-smelling and elusive, which matches other reports worldwide. Explorer Tony Healy notes in his book “In Search of Australia’s Bigfoot” that the sightings may in fact be real, and represent part of a global occurrence of the supposedly extinct Gigantopethacus ape—whose existence would also explain the Yeti and Bigfoot mysteries. Spontaneous human combustion ranks near the top of the most bizarre and terrifying mysterious events. While accounts of SHC tend to be historical, evidence suggest that the phenomenon has been seen to occur in recent times. In February 2013, for instance, authorities in Muldrow, Oklahoma, were perplexed to find the incinerated body of sixty-five-year-old Danny Vanzandt—seemingly burned alive in his nearly undamaged home. The Sheriff was able to determine that foul play was not to blame, but refused to rule out spontaneous human combustion. Coroners found that the body seemed to have burned at a low temperature for more than six hours. The victim was a heavy drinker, which some speculate may literally fuel such episodes of combustion. The human body produces methane-related compounds during metabolism, which some believe could fuel a fire when combined with alcohol. Reports of long-necked, plesiosaur-like animals have proliferated worldwide, often involving independent reports with a remarkable level of uniformity. The possible explanation is strange and chilling—yet scientifically grounded. According to cryptozoologist Bernard Heuvelmans, many serpent sightings in history actually align with the presence of mysterious, long-necked pinnipeds, measuring up to fifty feet in length. As dolphins have replaced ichthyosaurs, convergent evolution would allow for a pinniped to take on the form of the extinct plesiosaurs, but avoid being affected by cold waters. The southern elephant seal is currently the world’s largest carnivore at a length of twenty-two feet, lending credibility to such theories. Also adding weight to reports of giant, long-necked seals, is the actual existence of the aptly-named Weddell long-necked seal, which has a somewhat serpentine neck. Clearly, the mystery of cryptid pinnipeds warrants some attention. The Mary Celeste has gained a somewhat eerie notoriety following its discovery, apparently having been abandoned by its crew, with nobody remaining on board. This ghost vessel phenomenon seems to repeat itself, remarkably, in the modern case of the Kaz II. In April 2007, the Kaz II was traveling with its three-man crew along the northwest Australian coast, when air surveillance noticed it drifting oddly. Upon boarding, no trace of the crew members could be found. However, no sign of trouble was discovered either. A laptop computer was still running, and the engine was on. Eating utensils were laid out on the table, while life jackets remained in their cases. The bizarre and disturbing mystery of the Kaz II essentially remains unsolved. On the island of Andros in the Bahamas, descriptions of a mysterious creature known as the “chickcharney” have become embedded in local culture. Described as around one meter tall, the bizarre flightless bird-like creature is described in historic accounts, and also in modern-day sightings around the island. Reputed to have red eyes and to be capable of turning its head in any direction, the entity seems to border on implausibility. But ornithologists have identified a bizarre, extinct species of giant flightless barn owl, whose continued existence would explain legends of a large predatory bird walking around the island at night (owls are capable of turning their heads one hundred and eighty degrees in order to scan for prey). The owl is thought to be extinct, but the continuing sightings suggest that the bizarre and awesome creature may still stalk the backcountry of Andros, waiting to be rediscovered as more than the mere stuff of folk tales. Ron Harlan investigates the mysteries of nature, human experience, and the bizarre findings that often crop up on this planet. He is a freelance writer and student of science.